Located 1.3 km from Anjuna Beach, this is an offering of a private room in a boutique stay. The room on offer can accommodate up to four people and is ideal for beach bums! This abode is ideal for a group of close-knit friends. Ample parking space is available for those on a road trip. Your Space The property is lined with potted flowers which add a touch of colour and vibrancy and freshness. A swing chair occupies the balcony where you can lounge and read your favourite book. The bedroom on offer is simply furnished with a cosy bed and bedside cabinets for convenience. 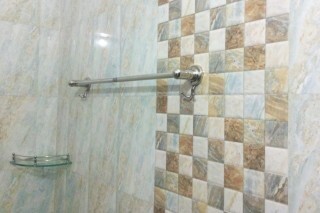 The en suite bathroom is well fitted with western sanitary ware.
. The Goa International Airport is 42.9 km away.